What’s your biggest Internet time waster? Hi there! Firstly, let me introduce myself. I’m Andy and I’ve been near-addicted to the Internet for 15 years. I met my wife online and I spend a lot of time at both work and play on the net. You really don’t want to see me when my broadband connection goes down! What is it that saps time that you could have better spent being productive on or offline? Is it one of those pesky Facebook apps? Is it Twitter? WoW? Flash games? I’ll start. 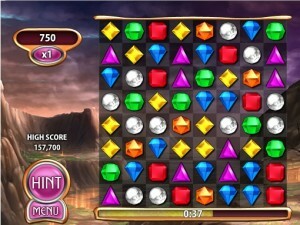 My two current time sinks are Bejeweled Blitz and Scrabble, both on Facebook. Scrabble is easy — I’ve loved the board game since I was a kid, and now I can play against anyone even when there’s no-one locally who wants a game. Bejeweled Blitz — well I guess the download figures for the Bejeweled empire speak for themselves when it comes to its popularity, but add the ability to play “just one more one minute game” against your Facebook friends and it has the ability to be extremely addictive. Honestly, I’m trying to kick the habit. What keeps you online? Share in the comments below. While not into Facebook or playing online games anymore it sure is easy to loose track of time when online. Reading RSS feeds, social networking and participating in forums sure do eat up my day online. Then there’s emails and invites for different social sites activites too. All these things seem to just eat up time without you noticing. One thing leads to another and next thing you notice the day has whizzed by. While the things I mentioned above are good from a marketing point of view, they sure aren’t indusive to getting actual work done during regular working hours.